We were super excited to be joining in with the Geeks this past weekend at the Game Fair! Getting to know the team on social media this past year has been incredible. Having now met them in person one thing is for sure, the Guru team is the most genuine team on social media. They are just as warm, hilarious and carfin in person as they are online. 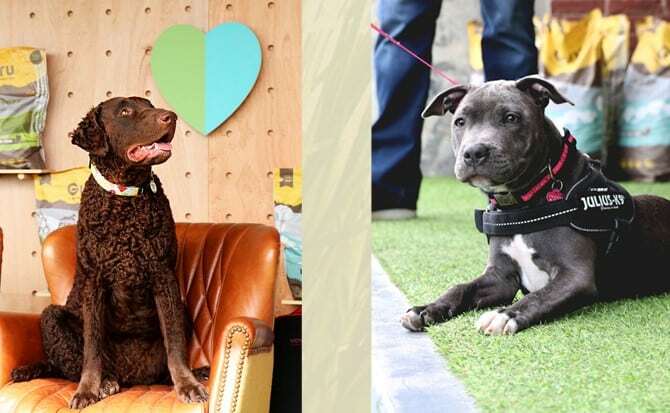 We had such a fun afternoon as their ‘pupparazzi’ for the day! Being slightly sheltered Londoners we felt entirely out of place at the Game Fair with the working dogs, country side men walking with sticks and very practical dog accessories! There were a few glimpses of familiarity with Made in Chelsea starts flying in & a Birkin handbag or two walking past! 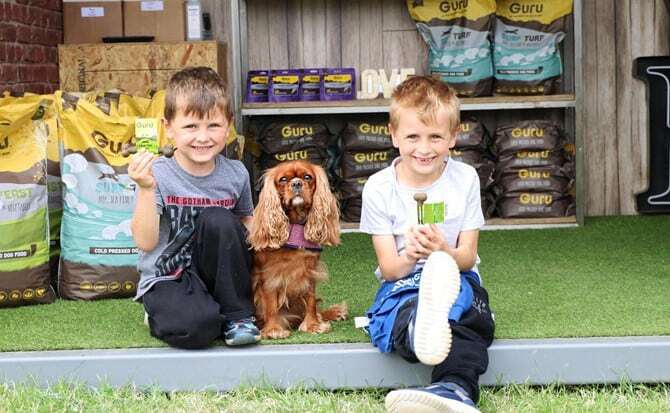 We couldn’t believe how many Cavaliers were among the fields of working dogs. Adorable little fluff balls being adored by their owners. 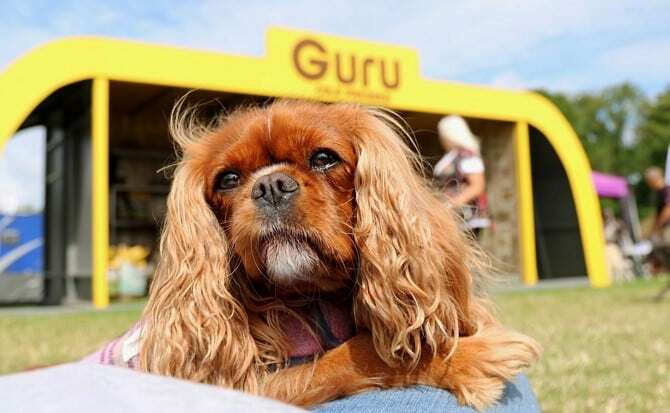 At first glance you would have thought a Cavalier King Charles would be the least likely visitor at the Game Fair. One place we did feel at home was the Guru stand! 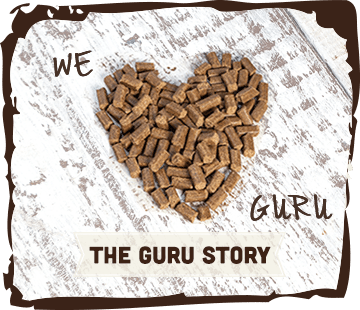 A collection of warm and friendly people welcoming every dog and their owner to learn more about cold pressed dog food. I do believe the first time I wrote about Guru I mentioned that cold pressed to me could only mean very healthy green juice! It feels only right that if the healthiest way for me to get vitamins and minerals is through having a cold pressed veg juice a day – that Amelia would also get all the goodness from her food by eating cold pressed. 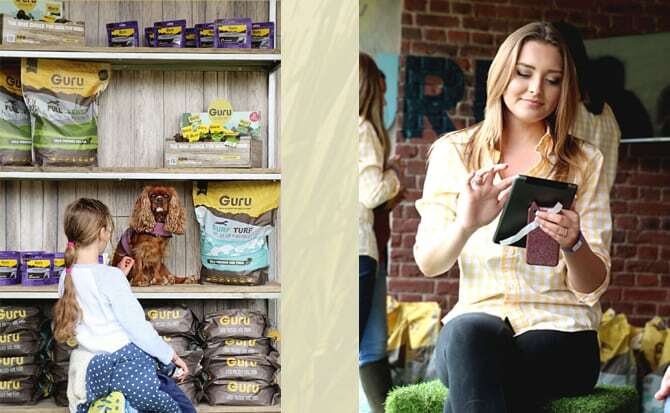 It may be difficult to remember that Guru are only coming up to being two years old as a company this fall. 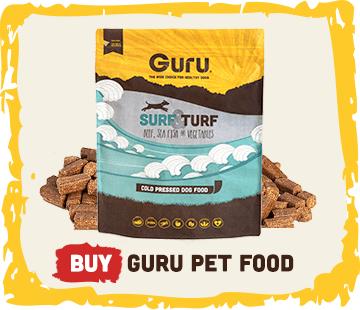 Yet you could barely believe the amount of dogs coming up to the stand who were all fed on Guru. 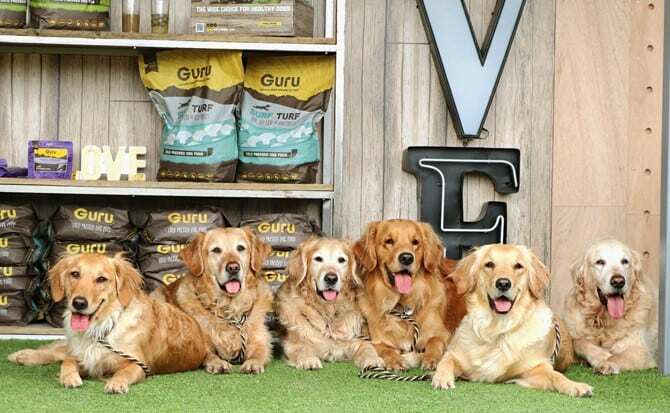 Some younger dogs had been brought up entirely on Guru! Lisa & Andrew along with their team of Geeksters welcomed each customer back to the stand as dear friends. 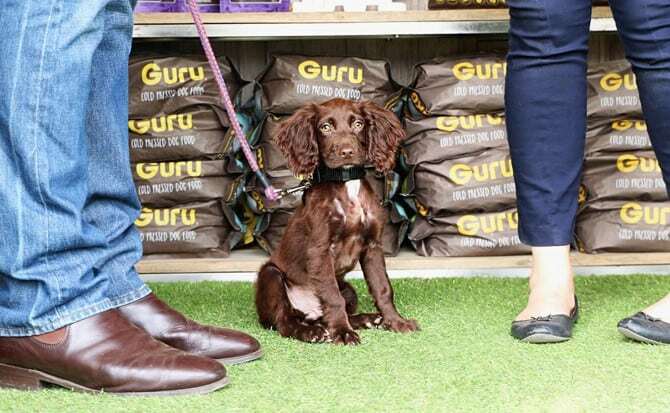 There was no lack of new customers being intrigued by Guru either. Lisa passionately demonstrated how cold pressed food breaks down when digested as opposed to regular kibble. Showing new visitors the range of products they offer and their many uses. After spending five minutes with Lisa, any dog owner would find it hard not to be convinced. Personally I enjoyed taking a back seat and photographing everyone when they weren’t looking. The passion of the Geeks spreading the Guru love was undeniable even when looking from afar. 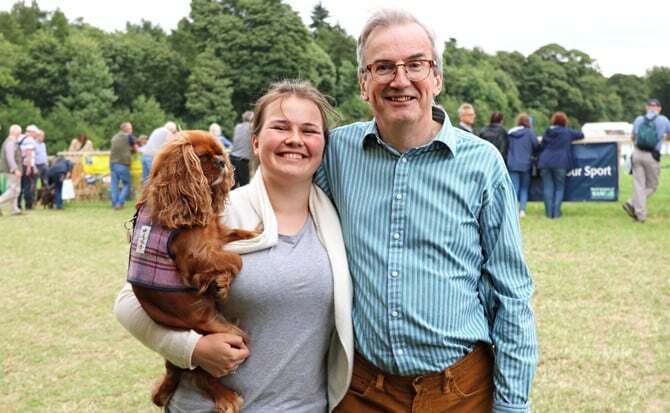 Dogs & owners visiting the stand were all part of the Geekster family that is so well championed on social media. Perhaps this will be a little corny, but the new venison sausage packaging says “nothing to hide” – I would personally like to extend this to the entire Guru team. A passionate group of honest people with a company ethos that is applicable far beyond their venison sausages! 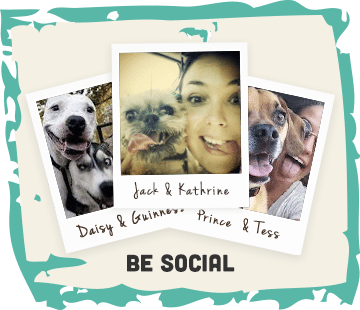 Check out Eva & Amelia’s world on their Blog, Instagram, Facebook & Twitter!